At Pots Galore, you can check out a huge collection of eye catching Garden Pots in Melbourne. You can choose from an assortment of textures, including plastic, clay and metals. 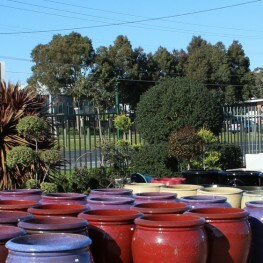 Our Garden Pots in Melbourne also come in a variety of colours. To intensify the artistic appeal of your decor, you can also choose from the brilliantly colourful collection of glazed Garden Pots in Melbourne.